I just saw this limited edition release from Visée with Blondy for Spring 2012 and wanted to share. I love Visée, it's a Japanese drug store brand, but I always find their eyeshadows pretty good value. Although, let's be honest, if you're ordering from outside of Japan, they're probably a bit pricey, but they have colours and sparkle value you don't always get in Western cosmetic companies. This latest release is for 3 eye shadow palettes from Visée is a collaboration with Blondy, a Japanese fashion brand that's made up of 3 smaller labels: LHS Blondy, Bitten Apple, and All Grown Up. I've honestly never heard of Blondy before, but after a browse of their website, I can say I'm digging some of their stuff. They are inspired by Debbie Harry of the band Blondie, so that's where their name and inspiration come from. Personally, I feel the All Grown Up brand the most! On Visée's website, they also show 3 looks with the palettes which I've screenshotted below. There's also a how-to apply on the website too. I think you can follow without knowing what it says, but just in case, I've done a quick translation below. What do you think? I really don't need any more eyeshadow, but Classical Bitter Chocolate has caught my eye. Actually, they all look like they would be lovely on. I suspect they choose very wearable colours for all 3 on purpose. It would be hard to find a palette that doesn't suit. These are currently available at Ichibankao, but are limited edition! These retail for ¥1,890 (inc. tax) and were released 16th January 2012. Get 'em while you can! 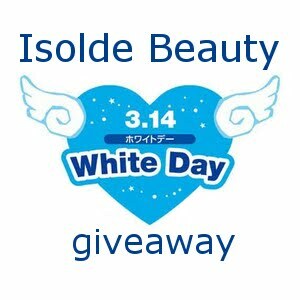 Enter my White Day giveaway to win one of these!